Ethyl and Isopropyl are examples of simple alcohols. Besides alcoholic beverages, alcohol can be used as fuels, solvents, preservatives and anti-freeze agents, cleaning agents, or disinfectants, often in the form of rubbing alcohol. The type used in rubbing alcohols may either be ethyl alcohol or isopropyl alcohol. These may be familiar terms but do we actually know what sets them apart? Read on and find out how the two are differentiated. 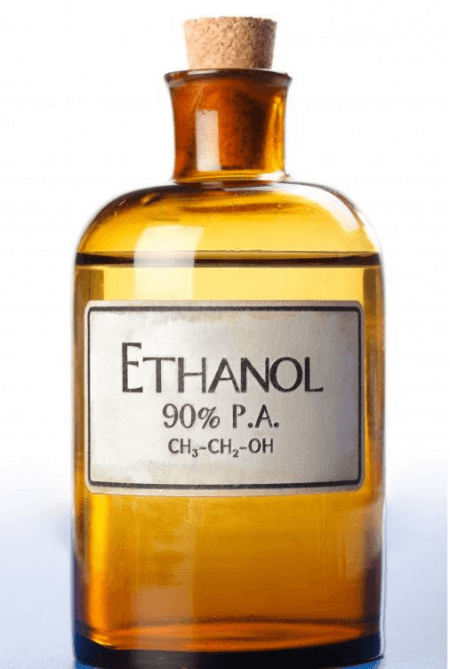 Ethyl alcohol, or ethanol, is a colorless and flammable liquid that evaporates easily. It also has a slight chemical smell. Ethyl alcohol is utilized as a fuel additive for automotives. This type of alcohol is also used for alcoholic beverages. Moreover, it is considered to be an alternative to isopropyl alcohol as a topical antiseptic. In this case, the ethyl alcohol is usually denatured. This means that some other chemicals are added to make them toxic or foul tasting to prevent intentional ingestion. Ethyl alcohol is produced when yeast cells ferment sugar. This is the process by which alcoholic beverages like beer and wine are produced. Ethyl alcohol may also be synthesized by hydration of ethene. Ethene is a gas derived from fossil fuels such as crude oil. 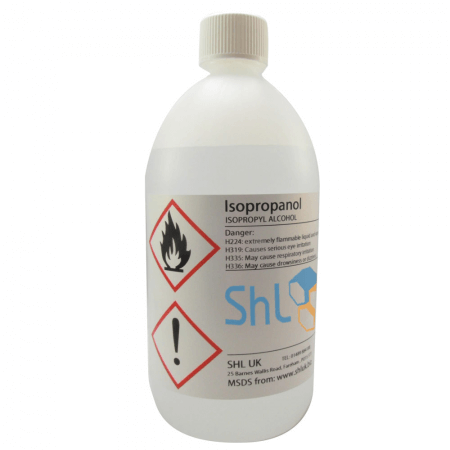 Isopropyl alcohol or IPA is also a colorless and flammable liquid. It has a strong chemical odor. It is a very useful industrial and household cleaner. This type of alcohol can be used to effectively clean machine parts. It is also a common cleaning agent in disinfecting toilet bowls, cleaning windows and removing sticky residue on varied surfaces. Furthermore, isopropyl alcohol is a widely used ingredient in several personal care products. These include skin, hair and nail products, aftershave lotions and eye makeup. Isopropyl alcohol is produced from the hydration of propene. Propene is a gas which is derived from fossil fuels. Isopropyl can also be produced by fermentation by bacteria. Other terms for isopropyl are isopropanol or dimethyl carbinol. “Isopropanol” is the standardized name. The word is derived from the prefixes “iso” and “prop” and the suffixes “ane” and “ol.” It means that all the carbon atoms, with the exception of one, form a continuous chain (iso). It has three carbon atoms (prop) having just single bonds between them (ane) and has the attached hydroxyl group OH (ol). Unlike ethanol, isopropyl alcohol is not mixable in salt solutions. Concentrated isopropyl alcohol can be separated into a visible layer by adding salt to water. What is the difference between ethyl and isopropyl alcohol? Ethyl alcohol consists of 2 carbon atoms while isopropyl alcohol has 3 carbon atoms. Ethyl alcohol is produced when ethene is hydrated or when sugar is fermented by yeast cells. Isopropyl, on the other hand, is produced by the hydration of propene or fermentation by bacteria. Having a slight odor is characteristic of ethyl alcohol compared to the strong odor of isopropyl. When in salt solutions, ethyl alcohol can be completely mixed unlike isopropyl alcohol which can be clearly separated in the solution. Ethyl alcohol is suitable for drinking while isopropyl is toxic when ingested. Both can be used as a cleaning agent. However, ethyl alcohol can also be used as a fuel additive whereas isopropyl is the more common ingredient in industrial, household and personal care products.